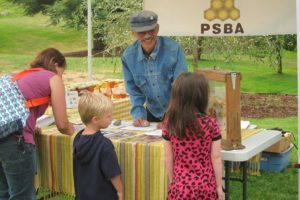 PSBA’s third annual Kids’ Day is coming up next month! We’re gearing up for another fun and educational day, and need your help to keep it going! 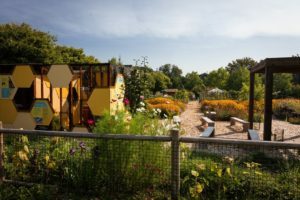 Highlights of the day include a live hive demonstration, story time hosted by Seattle Public Library, plant identification scavenger hunt, pollination simulation, arts and crafts, bee anatomy game, flower facts, honey tasting, an observation hive and more! 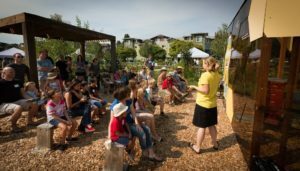 All activities take place at the family friendly West Seattle Bee Garden and Commons Park P-Patch. The space is adjacent to a large park and playground – great for running and playing. We love sharing our bee knowledge with our youth, and are touched by how eager they are to learn! A fun day is guaranteed for all. We could use your help with various learning stations (instructions are simple and provided in advance). Also, we need helping hands for set-up, which starts at 8:30. Please sign up as a volunteer or email Lauren at lenglund@pugetsoundbees.org for more info!